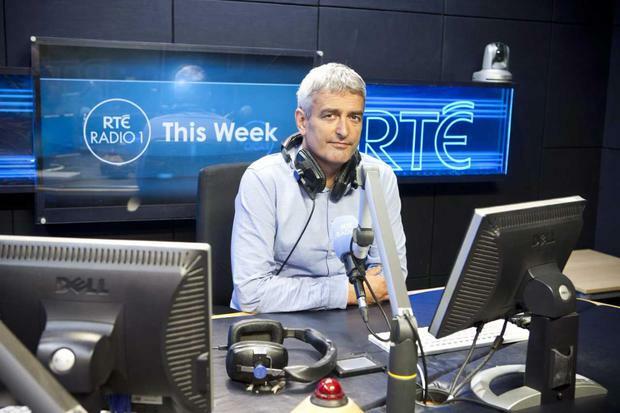 Prime Time presenter David McCullagh is returning to This Week on RTE Radio 1 after 17 years. He previously worked on the news radio programme when he first joined RTE in 1993 before becoming RTE News Political Correspondent for 12 years and then joining Prime Time on RTE One in 2013. His second stint on This Week will begin on Sunday September 9 although he will continue to present Prime Time with Miriam O'Callaghan every Tuesday and Thursday. Brian Dowling and Colm O Mongain presented This Week until April. Colm is now Deputy Foreign Editor and Brian is Head of Editorial Standards and Compliance in RTE. A variety of voices from RTE News have presented the programme over the summer, with Aengus Cox taking the helm in recent weeks alongside names including Carole Coleman, Maggie Doyle and Brian Finn. Other previous presenters include Gerald Barry, Sean O'Rourke, Richard Crowley and Gavin Jennings. This Week is one of Ireland's longest running radio programmes and is heading into its 50th year of broadcasting. David McCullagh will be joined by Carole Coleman and Justin McCarthy on air on Sundays at 1pm on RTE Radio 1 while investigative journalist John Burke is the new programme editor. Originally from Leitrim, Carole Coleman has over 25 years experience in media including roles as RTÉ Washington Correspondent, which included her interviewing President George Bush, and as Education and Environment Correspondent. Cork native Justin McCarthy spent 15 years working in independent radio before joining Morning Ireland in 2013. Following his time on the flagship programme he became a member of RTÉ's political reporting staff.